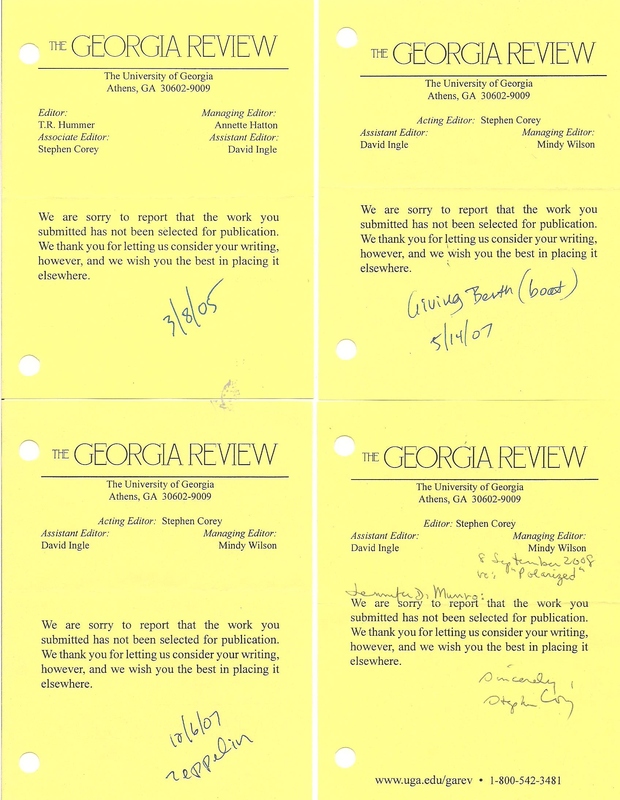 I’ve been submitting my writing for publication for exactly fifteen years now. 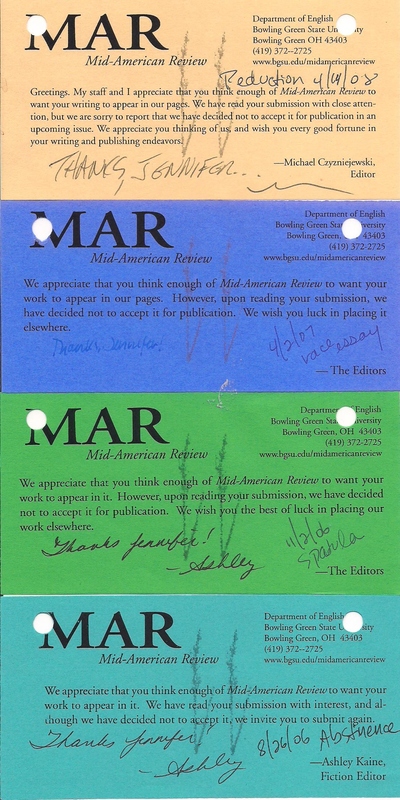 My first ever submission, to a small local journal, was mailed on January 10, 2000. On February 1, I submitted a short piece to a local contest. I never heard back from either. On February 12, 2000, I mailed a submission to another local contest. I received a phone call shortly thereafter that I had won. I still remember playing the message back several times on the old answering machine. You know the kind that beeps and clicks and rewinds the miniature cassette tape, which ceaselessly fascinates the cat? My 8th submission that year resulted in a Hedgebrook residency. My 14th resulted in being published by the esteemed journal Calyx. Not bad for a first year. But consider that with three acceptances, I also collected eleven rejections.